If you are looking for something to look forward to in boring old January, then I can seriously recommend that you try to get hold of some tickets to see Chitty Chitty Bang Bang. Back in early December we went to the press evening of the show at the Lowry in Manchester and we loved it. When I was much younger, I vaguely remember watching the film on the television, but I will be honest, I didn't know the storyline before I went, apart from the family did up an old clapped out car. 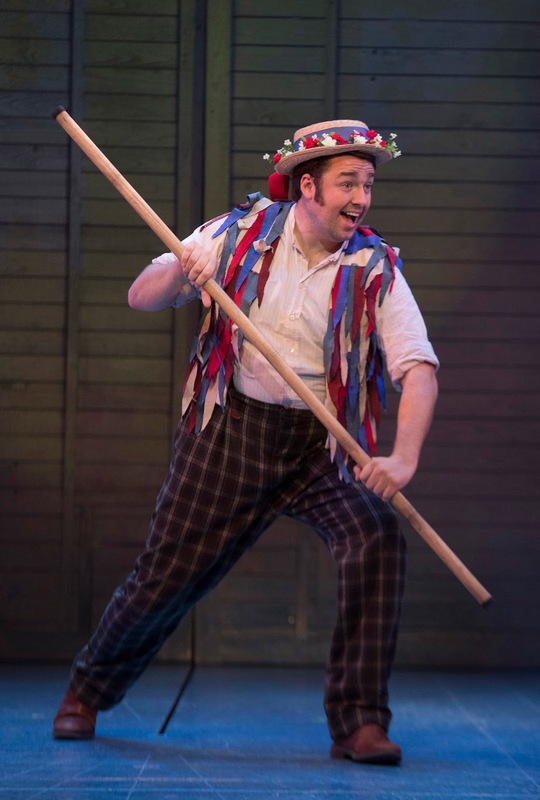 The main attraction for me was the fact that Jason Manford was playing a lead role as Caracatus Potts and I do enjoy watching him as a comedian, so I was really looking forward to seeing him in a different guise. Other famous names in the show are Claire Sweeney who plays Baroness Bomburst and Charlotte Wakefield as Truly Scrumptious, amongst others. I took Lauren along for the show and she is 10 Years old. There were other younger children in the audience who all seemed to be following along, but the finish time was around the 22:20 which is something to be aware of if booking an evening show for kids. In terms of the storyline, it was easy to follow in the main, but I did have to set Lauren on the right track in the first 20 minutes or so, or else there was the risk that she would lose the thread of the plot altogether. She didn't understand the conversation that the Baroness has with the spies, so I had to explain it to her. I think Jason Manford played the role of Caracatus really well. He was able to sing and dance and was very entertaining. My favourite two characters of all, were Boris and Goran, the two Vulgarian spies. They were totally daft and so funny, which I think you need when there's so much singing in a musical. 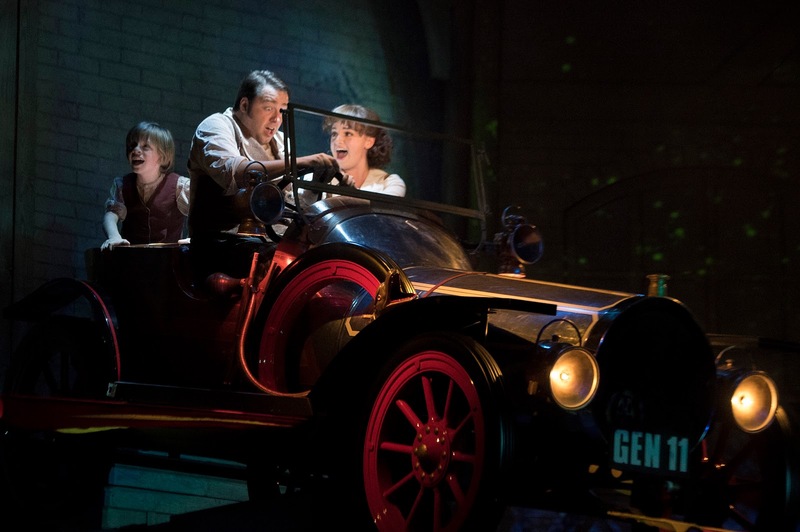 I'm not going to spoil what to expect completely, but my favourite parts were the quality of the set with a lovely wooden windmill that fills the stage and yes, with a bit of green screen technology assistance, they do get that car to fly, which everybody loved. You really should try to go. It is on until the 15th of January 2017 at the Lowry Theatre in Manchester. Top Tip - Buy a pre-paid ticket for the multi- storey car park, leave 5 minutes before the end while the bowing is happening and park on a lower floor or else you may find yourself with a lengthy wait to leave the car park at the end. *We were provided with 3 tickets for the evening showing on Press Night. All thoughts and opinions are our own.